Chuck Dabler grew up in an era with a love for cars, and graduated from OTI with degrees in autobody repair and business. In 1967, he started a Volkswagen dealer shop on Lancaster Drive, with the help of the Eyerly family. Rapid growth from the Volkswagen-Porsche-Audi shop necessitated the need to build a state of the art, over 8,000 square foot facility. 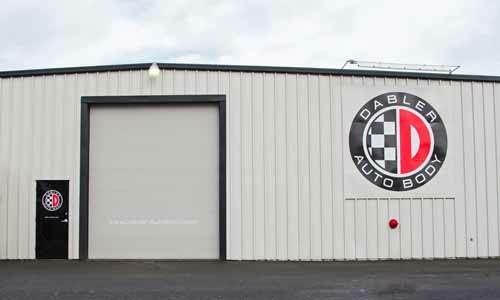 In 1977, he moved to this current location and Chuck Dabler Autobody became the family-owned business it is today!